When Raspberry Pi was announced, it piqued the interested of DIY enthusiasts simply because it opened up a world of possibilities for those so inclined. It also provides a way for children to actually learn how to dabble with hardware and software without having to spend an arm and a leg for equipment. True enough, we have been seeing some impressive work with Raspberry Pi. 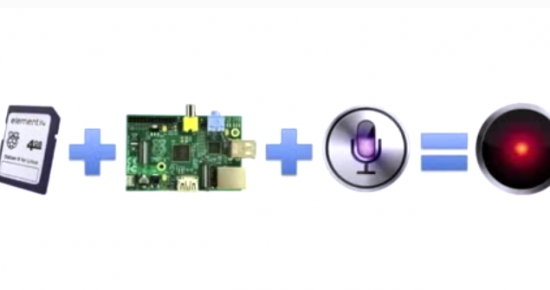 Not too long ago, we discovered Jordan Burgess’s setup featuring Raspberry Pi to make a DIY Airplay speaker. This time, we have another project with some Apple flavor thrown into the recipe with Siri joining the fray. Meet SiriProxy on Raspberry Pi Home Automation Control, designed and created by someone who goes by the name Elvis Impersonator on YouTube. Elvis Impersonator has been dabbling in home automation and control since 2008. At the same time, he has not been far from the iOS app developer scene as well. The result of his interest and efforts is his pretty impressive setup. Siri can open the dude’s garage door, disable the alarm in the house, control the thermostat temperature, control the lights, and surf channels on the TV. How cool is that? His statement “I find I can make Siri more useful than anything Apple has come up with to date.” may sound a tad arrogant, but you can’t really blame him for that, can you? iOS mobile apps MobiLinc HD ( http://mobilincstore.com) and eKeypad Pro (http://blog.ekeypad.net) for iPhone/iPad touch control. Learn more about the background and setup from Elvis Impersonator on YouTube.